A breach at the Democratic Party headquarters is the latest to grab headlines. Companies and government offices are threatened daily. But Uncle Sam is handicapped by having a dozen or so entities involved in policing cyberspace. Creating a single expert agency could help. 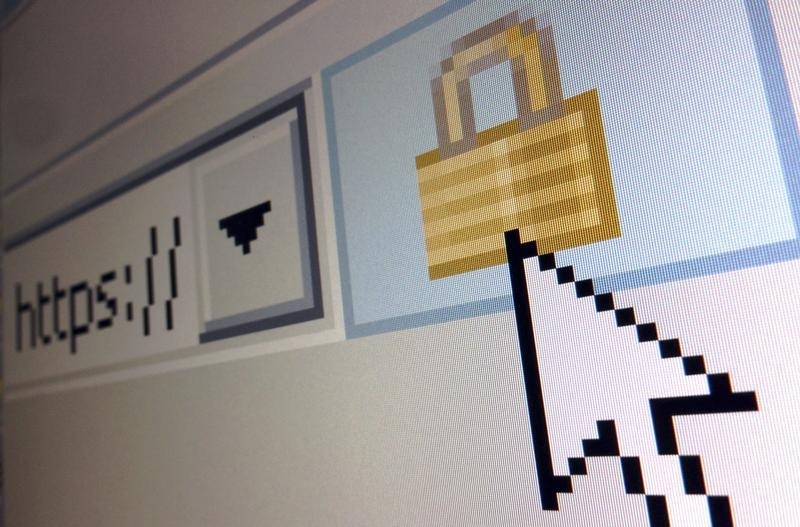 A lock icon is seen on an Internet Explorer browser in a photo illustration in Paris April 15, 2014. A hacker using the moniker Guccifer 2.0 on June 15 claimed responsibility for a cyber breach at the Democratic National Committee, which had blamed the attack on perpetrators working for the Russian government. The target was opposition research on Republican presidential nominee Donald Trump, and some of the purportedly stolen documents were posted on a blog. Separately, U.S. Attorney Preet Bharara told a Wall Street Journal conference on June 14 that “people should be horrified” by the theft of $81 million from the Bangladesh central bank’s account at the Federal Reserve Bank of New York. Hackers penetrated software at SWIFT, the global financial network that banks use to transfer money, as part of the February scheme. Also on June 14, the American Enterprise Institute think tank said the United States is losing the cyber war. The group issued a report entitled: “An American Strategy for Cyberspace: Advancing Freedom, Security and Prosperity.” The authors called for a plan that promotes internet freedom and international trade, empowers the private sector to better protect itself from breaches, and develops a doctrine on the use of military force in response to malicious cyber activity.